Do I need sailing experience to rent a yacht? For bareboat sailing yacht charter Greek authorities require at least one crew member with a recognized offshore sailing licence, such as ASA & RYA certifications or another official document recognized in your home country. To be on the safe side we advise you to apply for an International Certificate of Competence. In addition, you will need at least one experienced crew-member of "Competent Crew" level on board to support you. Besides the driver's licence you will have to provide us with a signed sailing resume. We will ask you to send us a scan of all sailing certificates and your sailing resume before the charter starts in order to assess whether you meet the requirements. If you do not meet the above requirements, or you just do not feel confident enough, do not worry. We are happy to help you organize a crewed yacht charter with skipper, cook or hostess. What is the best season for sailing? This totally depends on your preferences and the sailing area. Having said that, unless you like the cold, we would recommend May to October for the Ionian Sea and April to October for the Aegean Sea, where during the months July and August the Meltemi can blow for several consecutive days with force that might reach storm strength. Obviously if you are a sun worshipper, the summer months will be best for you. First of all, do not forget to bring along your original skipper's license, a signed sailing resume and the booking confirmation. Regarding your luggage: As there is only limited storage space on sailing yachts try not to bring hard shell suitcases and try to travel lean. Do not forget to bring your sailing gear or, in case you do not own this, bring a windbreaker jacket and trousers. Even during the summer months, the weather can get rough on open sea or at least breezy in the evening. We are sure it seems obvious to you, but bring along sun blocker, sunhat and sunglasses. The Greek sun is very strong. Who is responsible for damage to the yacht? It is always the skipper who has full responsibility for the yacht. We invest a lot of time and effort to provide you with a well maintained top notch yacht. Any charter party renting after you has the right for the same quality. Hence, you will certainly understand that this means that any damages or losses caused by you need to be paid for. In general, you will need to discuss damage costs with our base manager at check-out. Having said that, we of course insure our yachts. For details please check the question "Is the yacht insured?". If you still do not feel well enough protected you can of course also take out a skipper insurance on your own. What information do I need to submit before the trip? When making a booking, we will ask you to send us things like your name, address, the date and time of arrival and to fill in the crew list form. You also need to submit a copy of all sailing certificates and your sailing resume. We need this information so we can allow you to rent the yacht. We must receive this information no later than 14 days before departure and if not received, we will contact you, so do not worry if you tend forget these kind of things – we understand you might be very busy with looking forward to your sailing holidays with us. If you would not like to go to the supermarket when you arrive but rather spend the time on your yacht, let us know and we can make sure that when you board the yacht everything you need is already there. Most importantly, if there is anything you would like to let us know, or you need to know from us, just let us know. Of course we will treat your data in accordance with the law. Please have a look at our Company Policy. Can I rent the yacht one way? Yes you can, but at a cost and subject to availability. Please inform us about your plans and we will do our best to help you finding the most suitable solution. What is included in the charter price? You will find the price details in your customized offer, but generally included are VAT, use of the Yacht, Dinghy (upgraded on 45ft yachts or larger) with outboard engine (yes, that's right, no extra charge for the outboard – we do not want you to paddle to the beach), insurance, bed sheets, towels and the first fill for outboard. The use of the home marina of the yacht is free of charge for as long as you want to use it. Not included is fuel, provisioning, water, mooring fees and end cleaning. In order to secure your reservation we will ask you to make a 50% down payment upon accepting our offer. 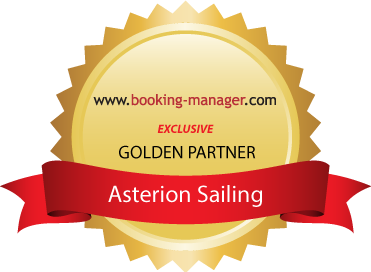 The remaining 50% you will need to pay 4 weeks prior to the beginning of your sailing holidays with us. If you book less than 4 weeks prior to the chosen charter period, you will need to pay 100% of the charter price upon accepting our offer. All payments are to be made by bank transfer, including all extras. You will receive an official invoice including every single cost item.